How about writing a script about reincarnation...Maybe America and Hollywood would be interested in a film concerning this idea? Description: Phil Connor, an arrogant and selfish television weatherman is assigned his fourth year of covering the Groundhog Day festivities in Punxsutawney, Pennsylvania, where he becomes trapped in a time loop. He must re-live Groundhog Day, February 2, day after day after day. No matter what he does, when he wakes up the next morning, it's as if yesterday never happened. Except that he remembers that day and all the ones before it, but he's the only one who does. Since there is no tomorrow, there are no consequences. If Phil eats too much, drinks too much, robs an armored car, or jumps off a tall building, the next morning dawns as if none of that had happened. He can also learn what women admire and use that knowledge to seduce them on the next day. Initially, Phil indulges all his appetites, but then he becomes bored and despondent. Not even suicide is a release. Finally, resigned to his fate, Phil discovers that he likes to play the piano and that there is satisfaction in helping people. He finds that his producer, a young woman for whom he only had contempt, is the sweetest person he has ever met. He falls in love with her and to his surprise finds himself released. Rationale for Using the Movie: The comic situation in which the main character learns important life lessons encourages students to evaluate their own routines and to find ways to avoid patterns of self-defeating behavior. Objectives/Student Outcomes Using this Learning Guide: Through assignments requiring writing in narrative, expository and analytical domains, students will exercise their ability to derive meaning from content and to apply themes to their own lives. 1. In the bowling alley, Phil asks two locals, "What would you do if you were stuck in one place, and every day was exactly the same and nothing that you did mattered?" One of the locals replies, "That about sums it up for me." What are the filmmakers trying to tell us in this exchange? Suggested Response: There are a number of ways to put it. They are trying to say that real people get caught up in what was magical in Phil's situation. Another way to put it is that the filmmakers are saying, "Hey audience, listen up! There's something for you in this movie! 2. If you lived one day over and over and over again, what would you do with your time? Suggested Response: This is a personal question with no one correct answer. Teachers may want to end the discussion with the observation that students have their whole lives ahead of them which means that they have thousand and upon thousands of days, more than 20,000 (assuming an 80 year life expectancy), and that this seems like an endless number of days to live. 3. Who or what are the antagonist and protagonist in this story? Suggested Response: Answers will vary. A strong response is that the selfish and uncaring part of Phil is the antagonist while the protagonist is all the good parts of Phil, the parts that help him become over time an authentic and caring person. Unwept, unhonoured, and unsung. There are two metaphors in this passage used to describe Phil and his situation. What are they and what is their meaning? Suggested Response: "Doubly dying" refers to the assertion that a life, "concentrated all in self" is really no life at all and more like death than life. Thus, someone who lives a selfish life dies twice, once in the living and again in the dying of the physical body. The metaphor is the equating of two dissimilar things, life and death. "The vile dust" is also a metaphor because something that is vile is something evil while dust is a physical object that is neither good nor evil, it is neutral. 1. Write a narrative, fiction or nonfiction, about a student in your school setting who finds him or herself in a time loop as experienced by Phil in the film. Show the student going through resistance, acceptance and change over a period of days. Note the improvements that are made in the final day of the time loop that will serve to free the student from the repetition and allow him or her to move forward. In your narrative describe action (including dialogue), reveal thoughts (including internal monologues), describe observations by the characters, use descriptive language (including images of people, places and things), and compare one thing to another. To prepare for this assignment, have students complete TWM's Exercise in "Showing Rather than Telling" When Writing a Narrative. Also check out the Narrative Writing Lesson Plan. 2. Research the "Groundhog Day" holiday and write an expository essay in which you explain the origins of the holiday and the various events associated with it around the country. Seek to find any similar late-winter activities in different cultures around the world. 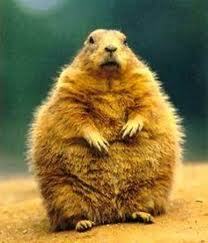 Conclude your essay with your opinion about the social or cultural value of Groundhog Day. 5. State a life-lesson you can take from this movie. Suggested Response: Answers will vary. One good response is that life is meaningless and unsatisfying unless people extend themselves to others. Another is that love is the only way out of the humdrum repetitiousness of every day life. Another lesson is that people need to break out of the routines in which they are trapped. 6. Outside the bowling alley Phil asks the two locals "What if there were no tomorrow?" One guy answers "That would mean there will be no consequences, there will be no hangovers, we could do whatever we wanted." What does the movie tell us about this idea? Suggested Response: The film tells us that after a while, that solution becomes boring and unsatisfying. 7. Phil meets the same people day after day until he finally learns how to treat them with compassion. Which interaction best exemplifies his insight into his dismissive behavior? Suggested Response: Answers will vary. Students may note Phil's treatment of the homeless old man. At first Phil ignores the old man. Later Phil gives him money and during another Groundhog Day Phil takes him to the hospital. On that day, Phil is obviously emotionally committed to the old man, demanding to see the chart and refusing to accept the nurse's evaluation of the situation. Then Phil tries to feed the old man and struggles to revive him but ultimately accepts his death with sorrow. 8. When Phil starts to use his repeated days to his advantage, what changes does he make in himself? Suggested Response: Answers will vary: Phil learns to play the piano, he learns to appreciate people, he finds numerous ways to help the local townspeople, and he begins to read for pleasure. 9. What may be the reasons that Groundhog Day, as opposed to any of a number of minor cultural events, was chosen for the time loop in this film? Suggested Response: Any well reasoned answer is acceptable. Some students may note that there is a bit of intellectual snobbery in the disdain for this tradition. Others may feel that the day itself has something to do with the hope of change that comes with spring. Others may note the fact that Groundhog Day repeats every year and for many seems to be the same every year. 10. In some Eastern religions a person lives an endlessly repeating series of lives until, one day, enlightenment is attained and the soul escapes from the endless repetition of life. How does Phil's experience in Groundhog Day follow a similar pattern? How does it differ? Suggested Response: It's similar in that Phil is doomed to repeat Groundhog Day until he learns how to love, at which point he is released from the repetition. It is different because Eastern religious enlightenment comes from a release from becoming indifferent to the cares of the world, including being disinterested in relationships with people. Phil is released from repetition back into a better world in which he can love and in which his life will not be stunted by selfishness and arrogance. Read the following narration about getting to school in the morning. I got up at 6 a.m. I got annoyed with the alarm and got hurt when I hit the clock too hard. I got into the shower. I got chilled because my sister had used up all of the hot water. I got into the kitchen after all the eggs and toast were gone. I got myself a breakfast of cereal and juice. I got a stain on my shirt. I got a different shirt. I got my stuff together and got it all in my backpack. I got yelled at by my mother for lagging. I got irritated by the way the morning was going. I got in trouble for keeping my carpool waiting. I got in the backseat of the car with two other people. We got a ticket for speeding on the way to school. We got to school late. I got detention for being late. I got behind in the assignment given in my first period class. I got a bad grade on my assignment. Do not use the word got at all. Let’s vary your sentence length and style. Add more details. Show what happened in that car when the policeman flashed his lights in the rear window. Let your reader hear the driver’s response. What was said? Dialogue will always help a story come to life. What did the mom or the sister say? The teacher? How about adding some interior monologue; what does the narrator say to him or herself? At what point in the story do you want the audience to know the narrator’s gender? At what point is the voice of the narrator important and when does it emerge and become a significant force in the story? This brief tale is a first person narration. Consider shifting your narrative to the third person and giving your character a name. If you think that would improve the narrative, then write it in the third person.